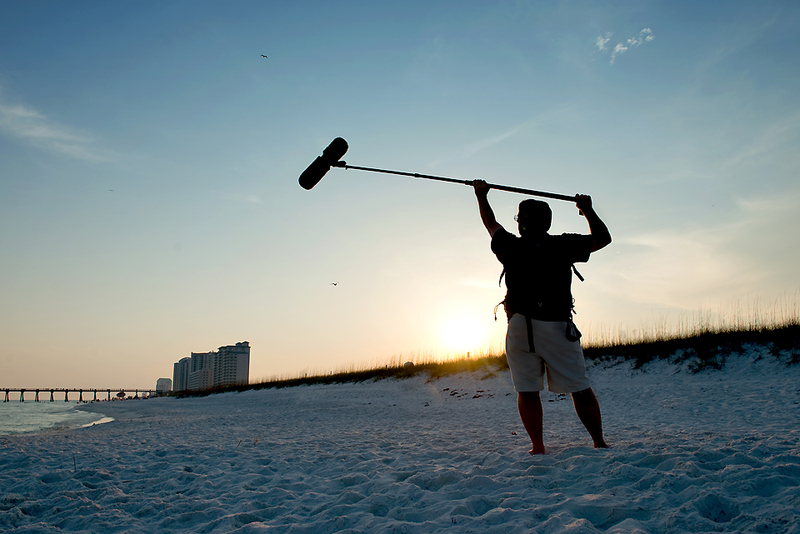 Steve Baker Sound Guy is a full service location sound mixer for TV, film, corporate video and multimedia. I have recently relocated to the greater Boston Area. Admittedly, my focus in past few years has been on TV, specifically, docu-reality TV, working on shows like “House Hunters”, “Disappeared”, “Tiny House Universe”, “Live in Vern’s House”, “When Sharks Attack”, “Mysteries at the Museum” and “Bill Nye’s Global Meltdown” (to name a few). My feature film work is limited to “day player” status primarily because there is not much feature work in NW Florida. Now that I have a home in Memphis, TN it is my sincere hope to add more of those types of credits to my resume. I have been known to branch out of location sound to work as a producer, director, coordinator, and location scout when needed. Sound is 50% of the show! In my experience, there are two kinds of sound guys, those who are highly technical and less creative and those who lean more towards the creative. I consider myself the latter. I’m not the kind of sound guy who buries himself in the bag. I try to be an active member of the crew without getting in the way of those who do it better than I can. I concentrate on getting the best sound I can get on the location without bogging down the production with “waiting for sound” problems and excuses. In short, my job is to get the best sound I can get with the gear I have at hand and maintain a good relationship with you and your crew. At the risk of sounding impolite, the only time I want to hear from you (after the shoot) is when you want to hire me for the next gig. Otherwise we have a problem. And I don’t want problems any more than you do. Here is a PDF of my most recent Resume for your consideration.